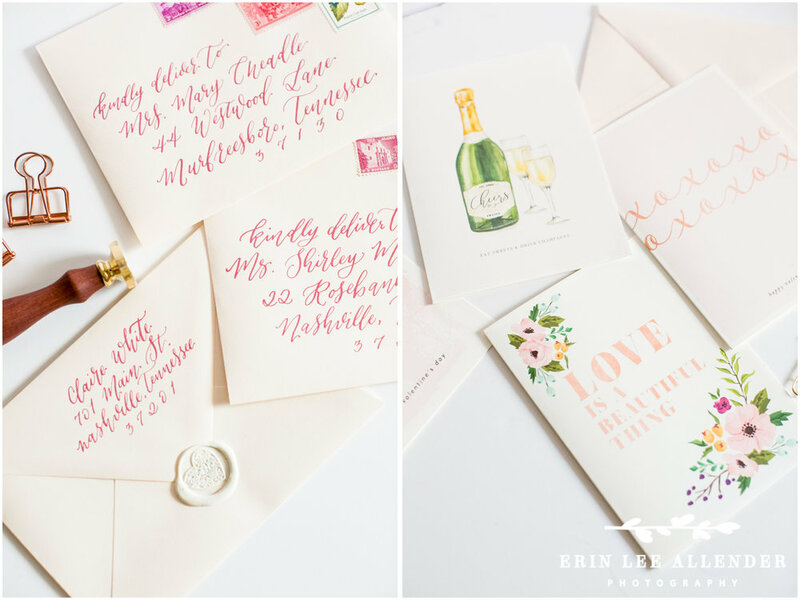 Erin Lee Allender Photography-Valentine's Day Promotion From White Ink Calligraphy and Darby Cards! I wanted to share this awesome Valentine's Day promotion that the fabulous White Ink Calligraphy and Darby Cards are doing! They were so pretty to photograph that I can only imagine getting one of these cards with my name beautifully written on the envelope and sealed with wax seal! White Ink Calligraphy and Darby Cards have teamed up to make this Valentine's Day the best one ever! 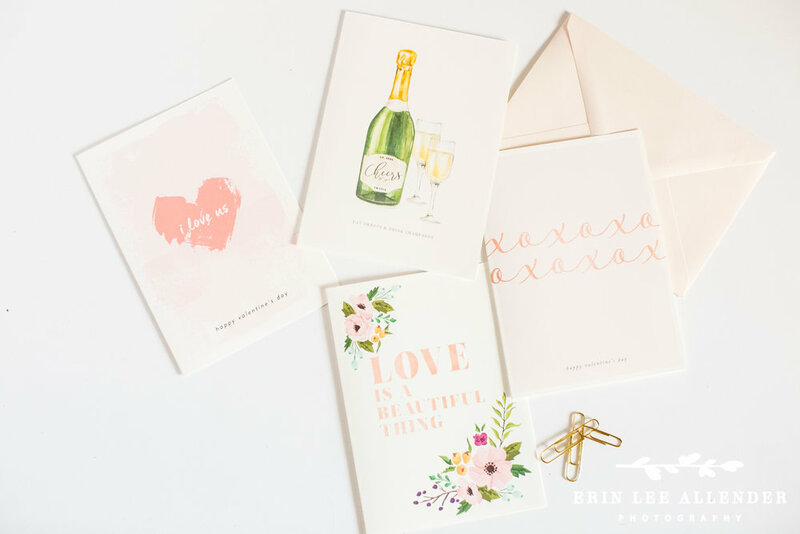 Preorder these gorgeous valentine's day cards for your honey, galentine, sweetie or bestie! * Outside modern calligraphy - PINK ink! Front addressing and return address lettering! * A white wax seal with a heart shaped stamp. Swoon. * Vintage postage from Little Postage- making those mailbox dreams come true!